If you're scratching your head for how to save money on your electricity bills, solar panels might be just the solution you're looking for. To start powering your property with solar energy, check out our quick guide to everything you need to know. 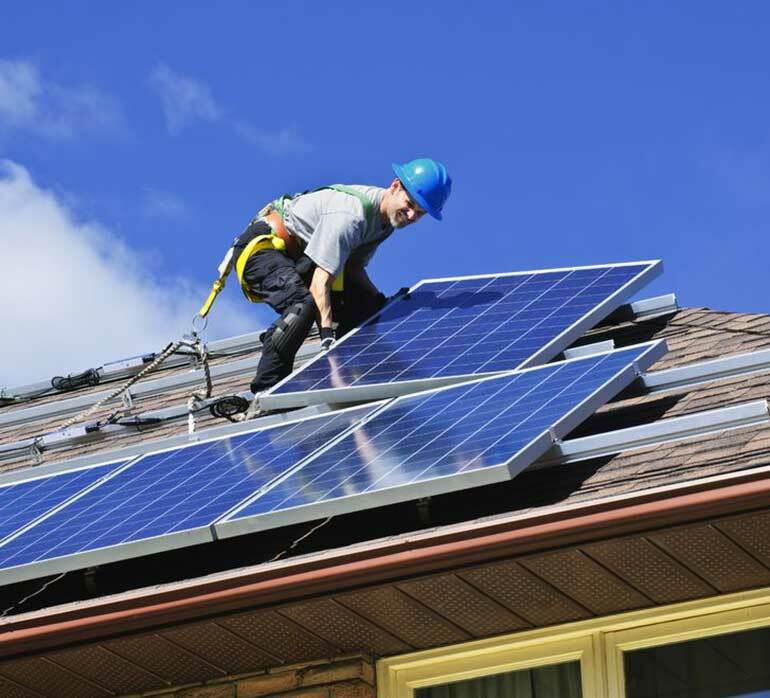 One common misconception about solar panels is that they need bright, direct sunlight to generate energy. Thankfully for us Brits, that's not true. Most photovoltaic solar panels continue to create energy on overcast days. Photovoltaic (PV) panels, and thermal panels. Thermal panels are a lot cheaper, but there's a good reason for that - they're only used for heating water, and during winter you'll still need to use your boiler. PV solar panels are the best all-round option, as they can be used for electricity and hot water. Power generated by solar panels is completely free, meaning you can save up to £200 a year on energy bills. If you buy and install your own solar panels, you could earn income on any extra electricity the panels generate. The energy you don't use feeds back into the national grid, and under the Feed-in Tariff scheme you get to keep 100% of the profits. To qualify, check that the panels (and the person who installs them) are approved under the Microgeneration Certification Scheme. On average, solar panels cost between £6,000 and £7,400 (including VAT). Take a bit of time to shop around to get the best quote you can. And although this might seem like a big outlay, remember you'll be saving money on energy and making a profit on what you don't use. You can use our free money manager to check how much you're currently spending on energy to see how long it would take for the panels to pay for themselves. Some solar panel companies have rent-a-roof schemes, where they'll install, connect, and maintain solar panels for free. You don't have to pay to use the electricity generated, either. There's no catch. If you go down this route, rather than buying the panels, the company makes money by selling extra power that's been generated. It's a win-win situation: you're saving money, and they're making money. The Green Deal is a government grant that helps people to make their properties more eco-friendly by offering them a grant or loan. To qualify, a Green Deal assessor will need to have a look around your home and chat to you about your energy usage. This does come at a price, but if you end up making the improvements you can be refunded up to £100. You can then either arrange the work yourself or get a Green Deal provider to do it for you, and you can pay in advance or opt into the budgeting-friendly Green Deal finance plan.